SoundCloud.com is a great resource for finding and discovering free music and podcasts - and you can bring it all to your own website with External Modules. First, find the piece of music or podcast episode you would like to add and click the Share button like shown in the image below. A new dialog opens. Click Embed at the top, and tweak the audio player settings to your liking. Now copy the code from the Code section. Go to External Modules on your website and enter a name (e.g. 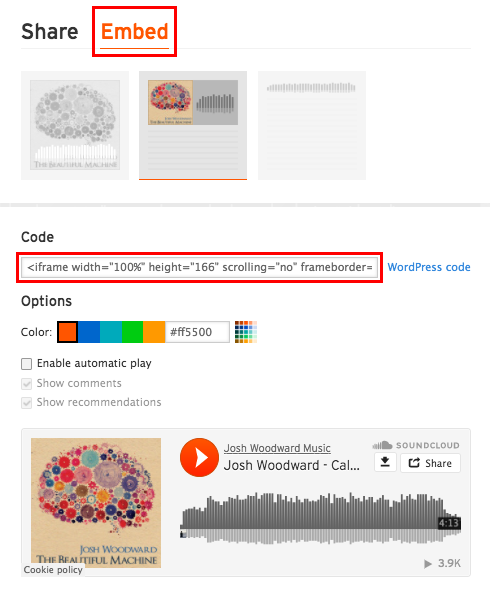 "Music - SoundCloud demo") in Module name and paste/insert the code from SoundCloud in the URL address / iFrame code field. Sitemagic CMS automatically configures everything else and gives you a preview of the new SoundCloud module. Click the Create button to create the module. 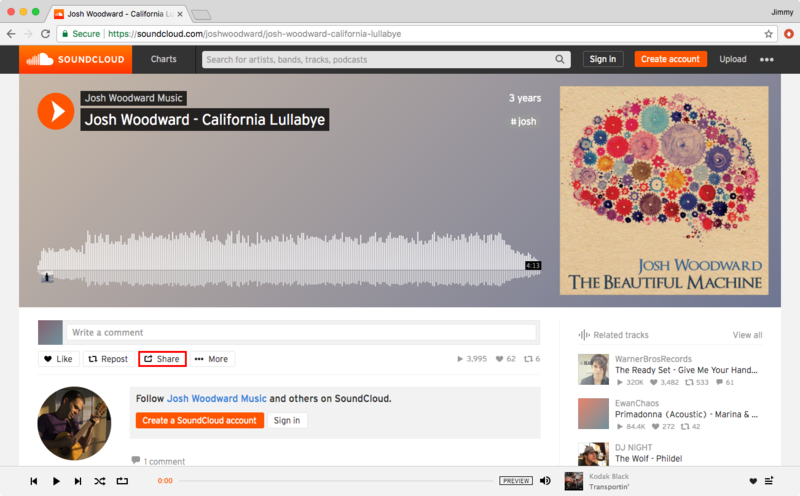 To add the newly created SoundCloud module to your website, open a page for editing, and use the Page Extension button to insert the "Music - SoundCloud demo" module.